Few amenities but very quiet, relaxing holiday. Very people friendly. Views and surroundings were beautiful. Perfect place to chill out. Amazing apartment. I would go back again. "We had a little difficulty finding the property but one call to the owners and we were met and escorted to the apartment. The accommodation was large and immaculately clean. The owners son, Mario, was very helpful and when we ran out of propane for the BBQ, he delivered a new tank within 15 minutes. There was an abundance of provisions in the fridge and cupboards. Mario spent quite aa bit of time orienting us to the area and recommending sites to see. We would highly recommend this accommodation." "Franca, Giuseppe and Mario were wonderful and helpful hosts. The apartment was immaculate, and the kitchen was fully stocked - they even had milk, juice and a bottle of water along with snacks available for our arrival. A family neighbourhood in a quite village - we enjoyed the beach/deck, local restaurants. Close to Mt. Etna - you can see it from the balcony. The town of Acireale has lots of nice shops/tourist attractions. Wonderful spot!" "This apartment located in new apartment building about 5 mins walk to sea in small resort town of Stazzo which is about a 10 minute drive to Acireale. I'm not sure we stayed in the exact apt. pictured, but our apartment was very big and was well equipped. It had the best heating system of any apt. we stayed in in Sicily!We did not see the owners after our introduction to the apt. they provided a generous welcome basket of food and had a tourist booklet available. the location was convenient for exploring the coast here. No sandy beaches in Stazzo"
"Best Appartment we have ever stayed in and rented. We have rented appartments all over the world - this accommodation is absolutely first class - the owners are very friendly and helpful. They have thought of absolutely everything - food, drinks, milk cooking ingredients soap detergent - I highly recoimmend staying at this appartment. Please pass this information on to the owners and our thanks for all their help and a wonderful holiday and appartment." "Beautiful apartment, lovely owners, everything we needed was provided. Beach was only rock, not so easy for swimming, difficult to leave the village without own transport." (Text automatically translated) From Fontanarossa (CT) continue to Acireale and from here you can easily get in the maritime village of Stazzo. 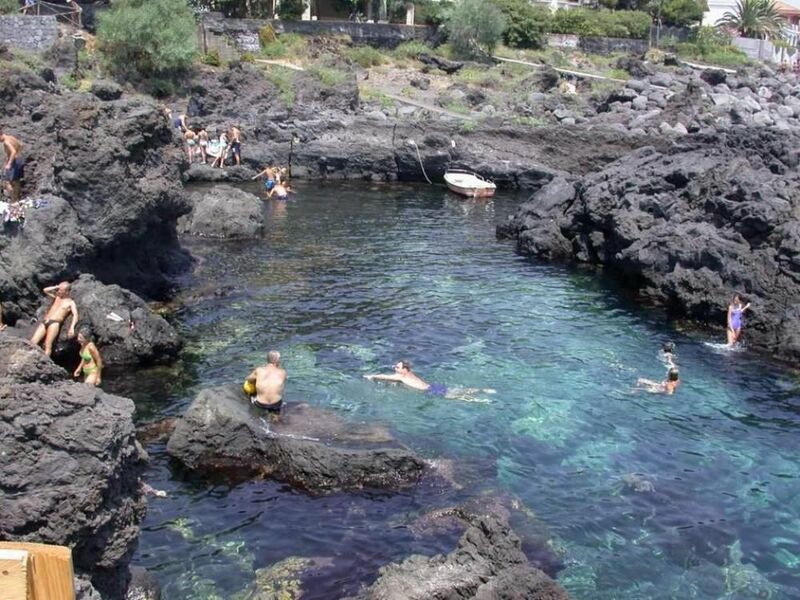 --- From the Messina-Catania, exit at Acireale and from here you can easily get in the maritime village of Stazzo.